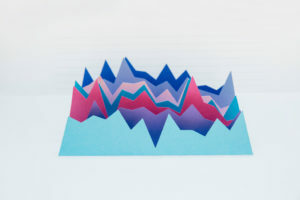 In addition to centralizing multiple data sources, the ARDA cross-indexes the data, making it easy for researchers to explore past results and effectively plan future research. The latter task is made simpler by the archive’s Measurement Wizard, a toolset that makes it easy to survey past research questions on a given topic. This is especially important because survey results on common topics can vary widely based on the wording of the question. “The conclusions you will reach about how religious people feel about, for instance, evolution depends greatly on whether you ask the question one way or another,” Bader says. When asked about human origins, many people who would not say they believe in a purely materialist form of evolution. But if the survey question allows for a form of evolution with some divine involvement, many more people will say they believe that humans have evolved. With the Measurement Wizard, “People who are developing a survey and want to ask about evolution can see all the ways that different people have asked about it, and that will help them pick the best way to ask about it on their survey,” Bader says. As part of the ARDA’s push to extend its usefulness for psychologists, Bader and his colleagues are working in conjunction with renowned psychologist of religion Peter Hill of Biola University to update the Measurement Wizard by integrating question types with multi-item or scale answers. The results of this work are also being used as part of a significant update of Measures of Religiosity, Hill’s important reference work on the subject. A core part of the ARDA’s data-democratizing mission is its effort to make religious information accessible and useful not only for academics but for journalists, religious leaders, and members of the general public. TheARDA.com features resources like country-by-country data, timelines of important U.S. social movements, and religious “family trees” that chart the development of major world religions as well as U.S. denominations. Mapping tools allow congregations to parse census and survey data about the religious makeup of their communities. TheARDA.com is also the home of “Ahead of the Trend,” a column series by seven-time Pulitzer Prize nominee David Briggs that highlights interesting findings in the study of religion, often from research available within the archive. Briggs’ columns are frequently republished in other sources ranging from the Huffington Post to Christianity Today. Since 2014 Briggs has also enlisted other journalists and academics to contribute to “GlobalPlus,” a series of articles about religious topics ranging from democracy and Islam to religious attire. As for the burning questions that opened this profile, the ARDA has answers. Belize and Bolivia are biggest on Baha’i, while when it comes to Episcopalians, the largest percentage are in the massive and sparsely populated census district that follows the Yukon River through the remote Alaskan interior. And it turns out that Democrats and Republicans believe in a large, hairy forest-dwelling creature at about equal rates, but independent voters are more likely to be pro-Bigfoot.